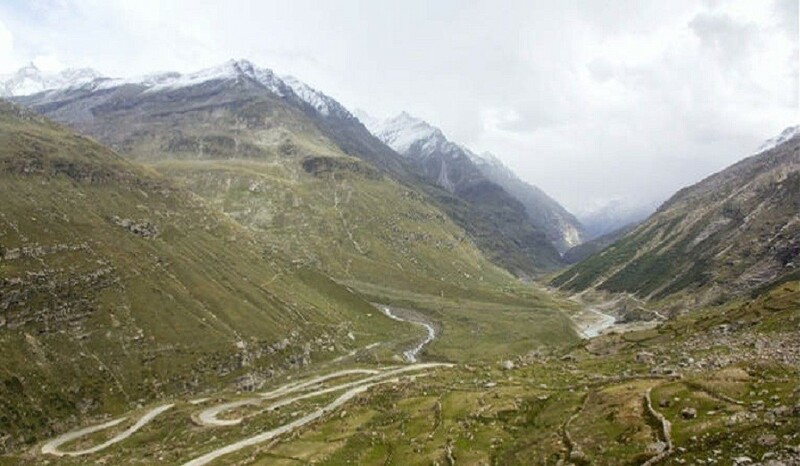 Arrive at Manali, you will be met on arrival and transferred to the hotel. A day of leisure. Evening will be free to explore Manali Market and other attractions. Overnight in Manali. We recommend to arrive a day earlier in Manali. We pick you up from the bus station and drive to the Hotel. The evening is free to explore the local surroundings. Manali is surrounded by beautiful fir and pine forests and there are lovely walks in and around the town. cycling1 image From Manali we will bike towards Rallah Falls. Today we start our first full day of biking on one of the classic cycle routes in the world. We start climbing right from Manali through the flower-filled valleys and cedar and fir forests, passing through numerous villages we arrive at the last village called Kothi. We have lunch at Kothi. After the last village, Kothi, we cycle up lots of hairpin bends which bring us to the Rohalla Falls. We bike towards Marrhi, ascend into a small valley, arrive in Marrhi by evening. Early in the morning after having our breakfast we leave Marrhi and and leave all habitation behind as the road zig zags higher and higher into the mountains. 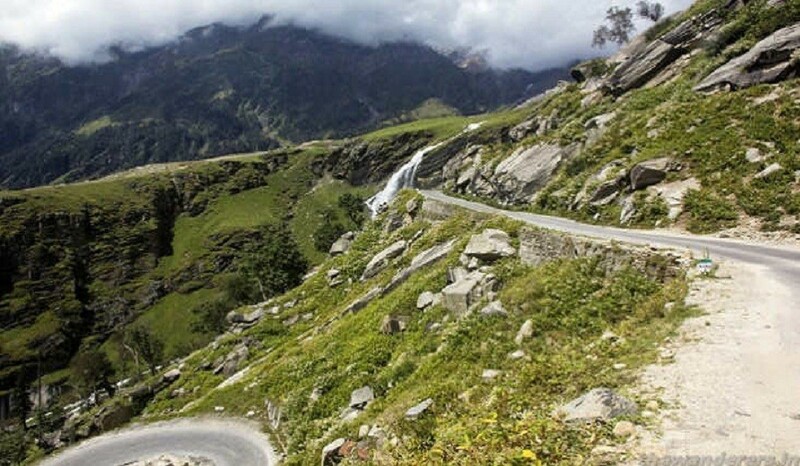 cycling1 image We bike Uphill up to Rohtang Pass, which is situated at a height of 3980 m. Rohtang Pass is an adventurer's dream destination, the gateway to the Lahual region from Manali. 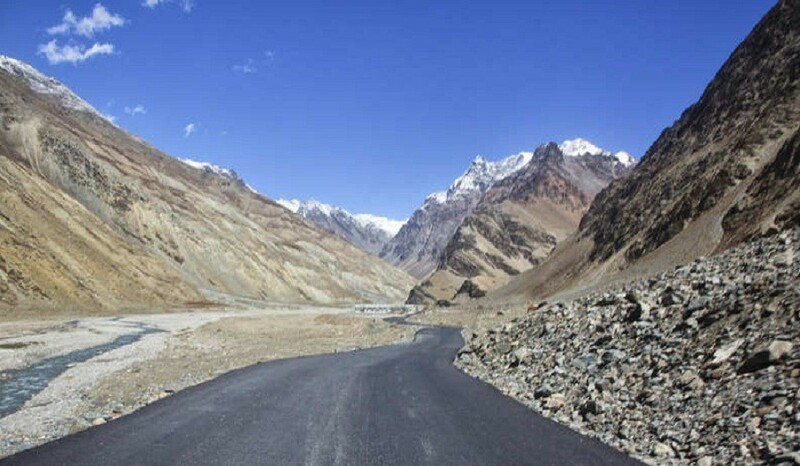 This barren windswept pass, blocked by snow for more than six months of the year, crosses the Pir Pinjal Range and is the gateway to Ladakh. Then we bike downhill 22 kms down to Khoksar village, thereafter we take a short detour and climb to the meadows and small villages to finally descend to Sissu. In the morning after breakfast, we have smooth almost level biking (we are in the Lahaul Valley and the cycling becomes easier) as we continue on to Tandi, where the rivers Chandra and Bhaga come together, to flow as Chandrabhaga or Chenab as it is known in the Chamba valley. cycling1 image From Tandi itâ€™s a short climb to Keylong, which soon continues through some swtichbacks to descend to Jispa 37 kms from Keylong. We will spend night in Jispa. After having our breakfast we leave Jispa. We start our biking to Patseo and Zingzing Bar. Another fairly easy day for acclimatisation as we are now approaching the Great Himalayan Range. cycling1 image We cycle through beautiful green pastureland to Darcha (3235m) where we can enjoy a cup of tea or coffee at a local restaurant. From here we continue climbing, until we reach Patseo (3650m). The site now of a lone tea house Patseo used to be the place of an annual fair of the Changpa nomads. After breakfast we start our biking towards Sarchu. Uphill and downhill Biking. A hard day today as we cross the Himalayas to Sarchu. 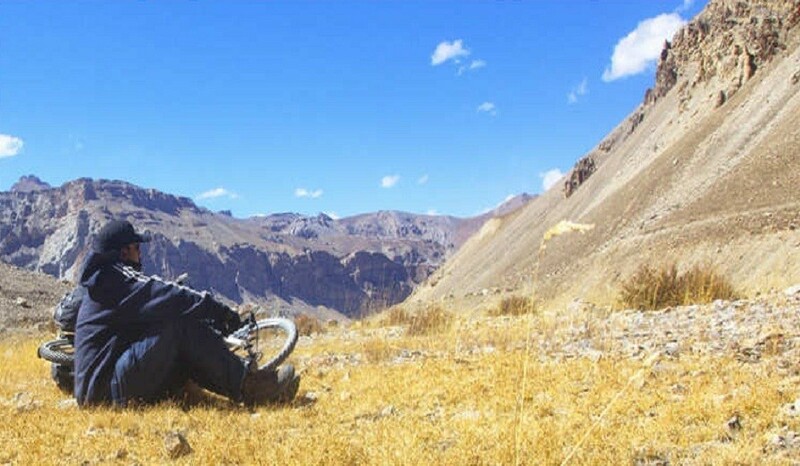 cycling1 image Sarchu is the border between the states of Himachal Pradesh and Jammu, Kashmir and Ladakh. After a gradual climb across large meadows past Zingzingbar we start our long ascent to the Baralacha La Pass (4892m). cycling1 image The climb seems at times to go on for ever but the hard work is worth it as the views become increasingly spectacular. Finally we reach the top - we are in the middle of the mighty Indian Himalaya. The word Baralacha means 'a pass with crossroads' and the trails from Zanskar, Ladakh, Spiti and Lahaul come together here. This is the main crossing of the Great Himalayan Range and we get amazing views of the many snow-covered peaks including Barashigri, Chandrabhaga and Mulkila. From the pass the cycling gets easier as we descend past Kiling Serai and on to Sarchu. A terrible surface-just loose rocks, rutted, We start by ascending the second highest pass on the Manali-Leh highway up to Lachulung-La. cycling1 image The road here is likely to be the worst of the trip with a distinct lack of tarmac, itâ€™s very gravelly and there are many loose stones. cycling1 image We have a long descent to Pang down a steep sided gorge. On stay camp distance 30 km. We start slowly with a short ascent to the Mori Plains (4700m). We are now in Rupshu, the waterless high altitude desert of the Tibetan Plateau. cycling1 image This area is all above 4500m and is home to the hardy Changpas, Tibetan nomads who live in yak hair tents and graze huge flocks of sheep and yaks in this seemingly barren landscape. We turn off the main road and cycle along a sandy track to Tsokar Lake where we camp for the night near Pongunagu. cycling1 image Tsokar means 'white lake', and there are white salt deposits ringing the water. 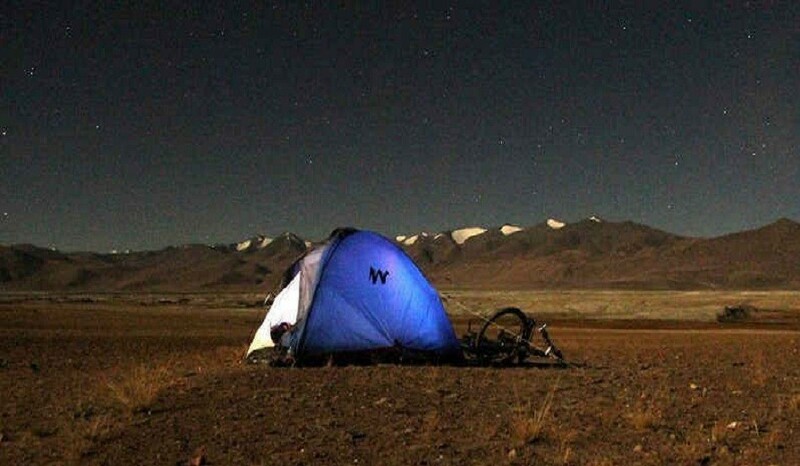 Our camp is a few kilometres from the lake but for the energetic there will be time to cycle to the lake, or even around it to visit some of the nomads. Look out for herds of 'kiang', the wild asses which roam the surrounding hills. The lake is also good for birdwatchers. A hard day today as we cross the last pass before Leh, the Taglang La. We leave Tsokar and cycle back to the main road. cycling1 image The long climb starts gradually and winds ever higher and steeper to the top of the Taglang La (5350m). You should be proud of yourself at the top - you have just cycled to the top of the second highest motorable road pass in India! We are rewarded for all our hard work with wonderful views of both the Himalaya and the Karakorum Mountains. After a rest and photo stop we have a wonderfully long zig zag descent to our first real villages since Lahoul. The houses and green fields of barley and potatoes greet us as we reach our camp at Rumptse. We start early with an easy ride winding down following the Kyamnar River down to Upshi. Here we join the Indus Valley, which we follow all the way into Leh. cycling1 image But first we have a diversion to visit Hemis monastery, once the largest and richest of all Ladakhi monasteries. To get there we have a 7km climb as the monastery is tucked away up a side valley. There is time to visit the ancient temples with priceless Buddha statues. We then cycle down to the main road and follow the mighty Indus River. From Karu we continue on to Tikse, where an impressive monastery sits perched on a hilltop. If there is time we can cycle up to the monastery, which contains a very impressive two-storey statue of the Future Buddha. Passing the ruins of Shey Palace the cycling is fairly easy as we come to Choglamsar, home to many Tibetan refugees. There is a final sting in the tail as we leave the Indus and climb into Leh. Tonight we can enjoy the comforts of a hot shower in our hotel in Leh. Post breakfast departure from Leh. Small day sack to carry trail clothing, Good quality waterproof jacket. Sun hat , Warm gloves, mountaineering gloves (waterproof outer, fleece inner) are good. Shoes, Flip-flops, Crocs or Sandals to wear around camp. Dark glasses (the sun is very strong). A couple of spare passport photos photocopies of key documents. e.g., passport etc. Quails, Sumo, Jeep/ utility Van as backup vehicle will follow the members depending upon the size of group. A celebration in Leh on the last day. Laundry and other services not mentioned in the package. If you need any additional arrangements please let us know. Bike repair kit (Carry one puncture kit, spare tubes (2 will be good) and a multipurpose repair tool set. Immediate expenses raised due to natural occurrences landslides, weather, cloud burst etc.